Just Like You is a song by Lecrae in the Rap genre. It was released in 2010 by the Reach Records label. The artist's official site can be found at www.reachrecords.com. 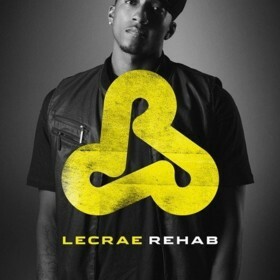 Just Like You can be found on Lecrae's newest album, Rehab, and it features artist J. Paul with whom he wrote the lyrics to the song. Lecrae spreads the word of the Gospel using rap music. The song is about how everyone has someone that they aspire to be like, such as their parents, favorite athlete, etc. and how, as Christian's, we should only strive to be like God. Lecrae begins the song by rapping about how much he wanted to be "like" his uncle (which is where the name of the song is derived) and he eventually extrapolates this to how we should all aspire to be like God instead. The song has a much slower tempo, and is much "softer" than some of the other songs on the album which gives it a nice relaxing atmosphere. Overall, this is a nice soothing song with a wonderful message by two great artists.